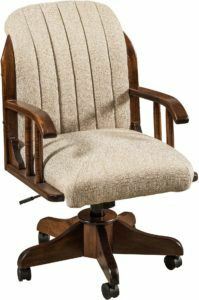 Looking for game room chairs that are comfortable and sturdy, beautiful and long-lasting? You’ve come to the right spot. So check out our outstanding chairs. They’re expertly Amish-built of the finest quality woods available. Which makes them superior to competing chairs. The Hickory Game Table Chair with Leather Seat and Cane Back features a beautiful leather seat with rustic wood. 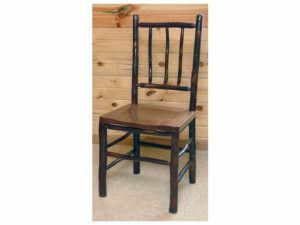 The Hickory Game Table Chair with Solid Scoop Seat and Hickory Back possesses a rustic elegance. You can count on the game room chairs from Brandenberry Amish Furniture to deliver everything you’re looking for in a set of chairs. Such as chairs for a poker table. Or you can get a poker table with chairs. For starters, you can select one of the chairs shown above. Take the Delray Chair. It’s the perfect choice if you prefer padded, swivel and adjustable chairs. 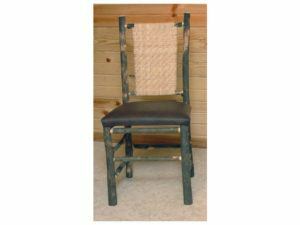 Or, you could go with the Hickory Game Table Chair with Leather Seat and Cane back. Or the same chair with a hickory back. Still looking for something different? Then, ask us to build customized chairs for you. Just tell us the style, finish and wood species. Plus any special features — like cushions or swivel. And we’ll supply you with the game room chairs you’ve always wanted.